"We celebrated the 11th annual Soundset Festival with over 30,000 in attendance on Sunday, May 27th, 2018 at the Minnesota State Fairgrounds on the Midway, in Saint Paul, MN. Thank you to all those who came out to support, and to everyone who helped make this day a success. From the performing artists, to the working crews, to all of you fans who came from every possible corner of the United States, and from all around the world, including countries like Australia, Brazil, Canada, Germany, India, Mexico, Norway, New Zealand, Philippines, Poland, Switzerland, Taiwan, United Kingdom, and more... Thank you to all the supporters, worldwide! Whether you made it to Soundset this year or not, please take a moment to watch this short recap of all the fun, and enjoy. We hope to see you ALL next year! 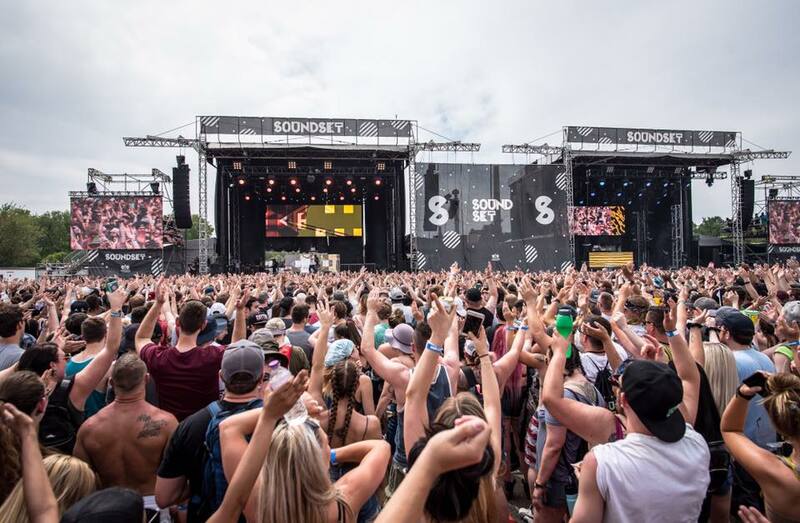 If you attended Soundset this year, we need your help to make next year even better! Take 2 minutes to tell us about your experience, and who you want to see perform next year, for a chance to win FREE TICKETS to Soundset 2019, PLUS a 20% discount code for Soundset merchandise and related artist items that you can use at Fifth Element now." deadmau5 - where's the drop? Watch "Juno Reactor - Let's Turn On"
"Gorillaz | Boiler Room Tokyo"